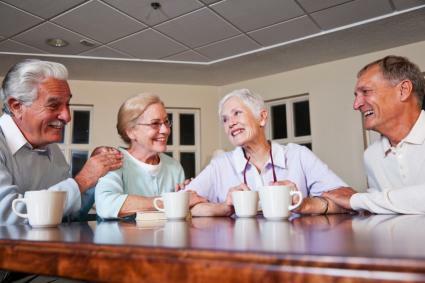 Active adult retirement communities offer a unique living environment for today's active senior. A number of benefits are available to enjoy like a low-maintenance lifestyle in a resort like atmosphere. 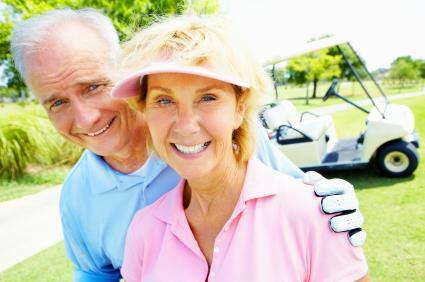 Explore seven different advantages to living in an active adult retirement community. When you live in an active adult retirement community, interior and exterior property maintenance and cleaning services are typically included in your fees. This is true whether you are in a rented dwelling or one that you have purchased inside a retirement community setting. When you choose to live in this type of environment, you won't have to deal with the daily maintenance and repair issues that you have been dealing with as owner of a traditional home. Since the houses and apartments in retirement communities are designed specifically for retirees, accessibility is not a challenge. You won't have to deal with steep stairs or doorways that are positioned in a manner that is difficult to navigate if you use a walker or wheelchair. Instead, you can be confident that your home will remain accessible and comfortable, even if your physical condition changes as time goes by. Retirement communities offer a variety of amenities designed to cater to the needs of the seniors who choose to live there. If you choose to live in a golf community, for example, you'll be able to hit the links from just outside your door. Communities designed for active retirees also often have on-site swimming pools, hot tubs, exercise rooms, game rooms, movie viewing rooms and more. Some facilities even offer hobby rooms and special interest classes, like ballroom dancing, arts and crafts, or computer skills. Communities designed with the needs of seniors in mind typically make a variety of services available on-site. Options often include on-site beauty salons, laundry and dry cleaning service, transportation, meal preparation, medication administration, on-site medical care and more. Some even have restaurants and dining halls to allow residents to socialize during meals, rather than having to eat in their homes every day. While living in an active community for retirees isn't necessarily a low-cost option, this lifestyle does offer the benefit of fixed monthly costs. If you are renting, it's likely that your rent will be an all-inclusive rate that covers your utilities, maintenance fees and services, based on the package that you select. If you are purchasing a house or condo in a retirement community, you'll still select a package that covers maintenance, utilities and services, so you'll be able to budget a fixed cost based on your mortgage amount and package selected. If you chose your home because it was in a great neighborhood to raise a family, chances are that you're still surrounded by young families today. As you get older, you might find that you're a little happier in an environment that is a bit more sedate than a noisy, busy child-friendly neighborhood. When you chose an adults-only retirement community, your neighbors will be other mature, active adults. You'll be surrounded by people in the same stage of life as you and who, based on the fact that you chose the same community, likely have similar interests. Active retirement communities are typically designed to feel more like resorts than neighborhoods or apartment complexes. When you choose this lifestyle, you'll be able to relax and enjoy life while others take care of making sure the grounds are beautiful, that you have plenty of activities to enjoy (if you choose to participate) and that your needs are met. You just might find that you feel like you are on vacation every day. There are retirement community facilities located throughout the U.S., as well as other countries. The following resources can help you find out what's available in where you currently live or in places where you are thinking about retiring. BestGuide-RetirementCommunities offers an extensive list of communities divided by region. The Web site provides few details with each listing, but includes a link to the community's own website, if available. BestGuide can be a good starting point for both researching communities in a particular area and for a list of names to investigate. 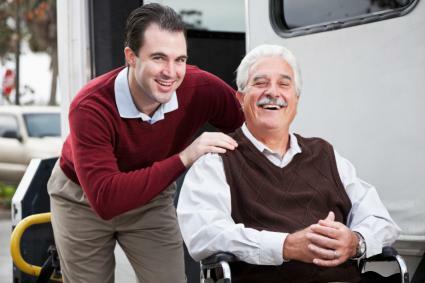 ActiveAdultLiving provides a similar service. This site's listings offer more information on available properties, but rather than connecting you directly to contact information for each community, you must fill out a generic contact form. When investigating retirement living options, it's certainly a good idea to consider communities designed specifically for active adults. While only you can decide if this lifestyle is right for you, it's certainly an option to consider. If you want a low-maintenance lifestyle that provides you with an opportunity to surround yourself with similarly situated individuals, you just might find that a community for active retirees is the perfect choice for you.